Marco de Virgiliis’ company Markbass has made its mark spearheading the use of Class D power amps, which have made it possible to pack an amazing amount of output power into very small and lightweight bass amp heads. 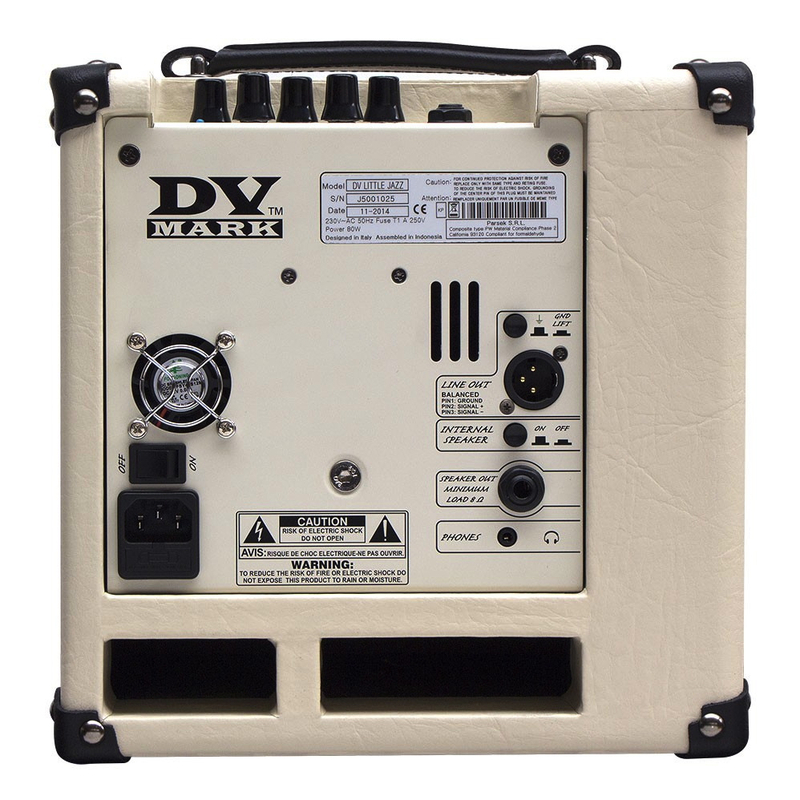 Markbass’ sister brand, DV Mark, concentrates on guitar amps, for the most part. Markbass and DV Mark have recently changed their distributor in Finland. Their products are now distributed by Musamaailma, which celebrates its 30th year in business in 2015. The combos in DV Mark’s Jazz series – the DV Little Jazz (current price in Finland: 393 €) and the DV Jazz 12 (462 €) – are very lightweight guitar amps, meant for professional use, and designed to concentrate solely on one thing – a top grade clean tone. 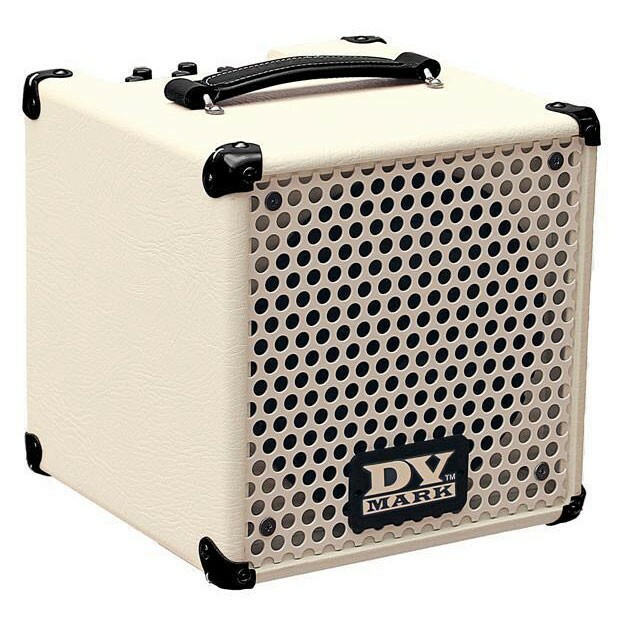 The DV Little Jazz is a surprisingly small combo in the shape of a cube (27 x 27 x 26 cm). Thanks to its diminutive size and small weight (just under seven kilos), you can easily take it on a bus or tram on the way to your next gig or rehearsal. 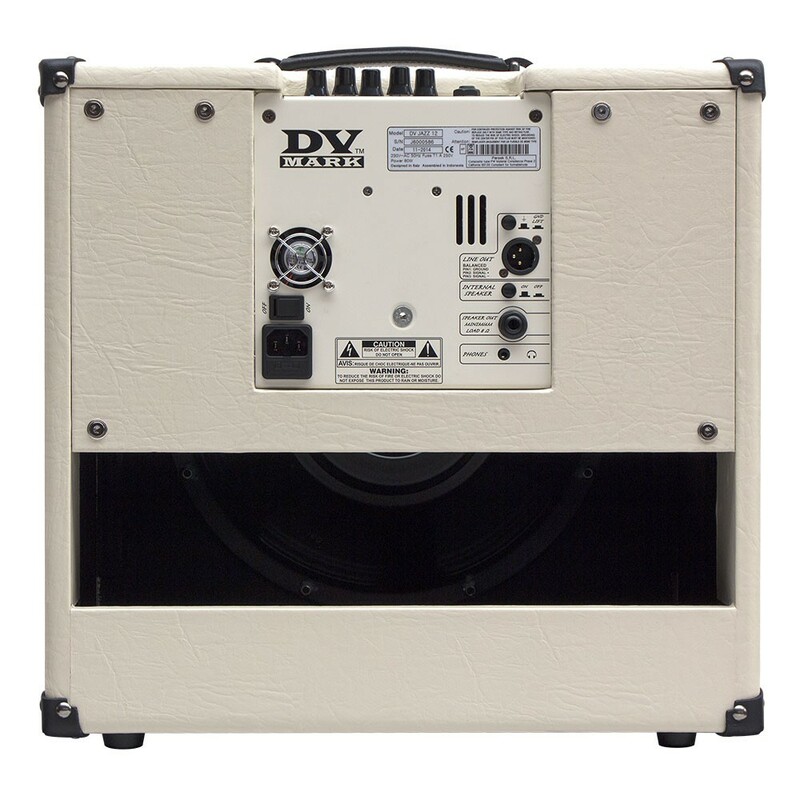 The cream white cabinet is home to an eight-inch speaker that was specially designed for this amp. The corner protectors and the Little Jazz’ sturdy metal grille give this small combo a suitably chunky look. 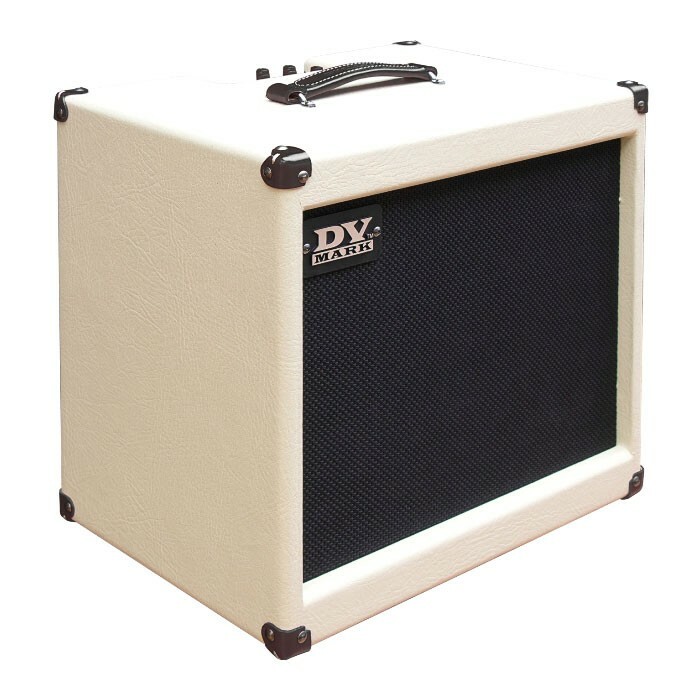 The DV Jazz 12 is a good deal larger in size (43 x 42 x 30 cm), with a more traditional guitar combo look and a stylish cloth grille. Thanks to its special-design, neodymium 12-inch speaker, the Jazz 12 weighs in at just under nine kilos. Both combos have a partially open back, and they share an identical, fan-cooled amplifier module dishing out 45 watts of power. 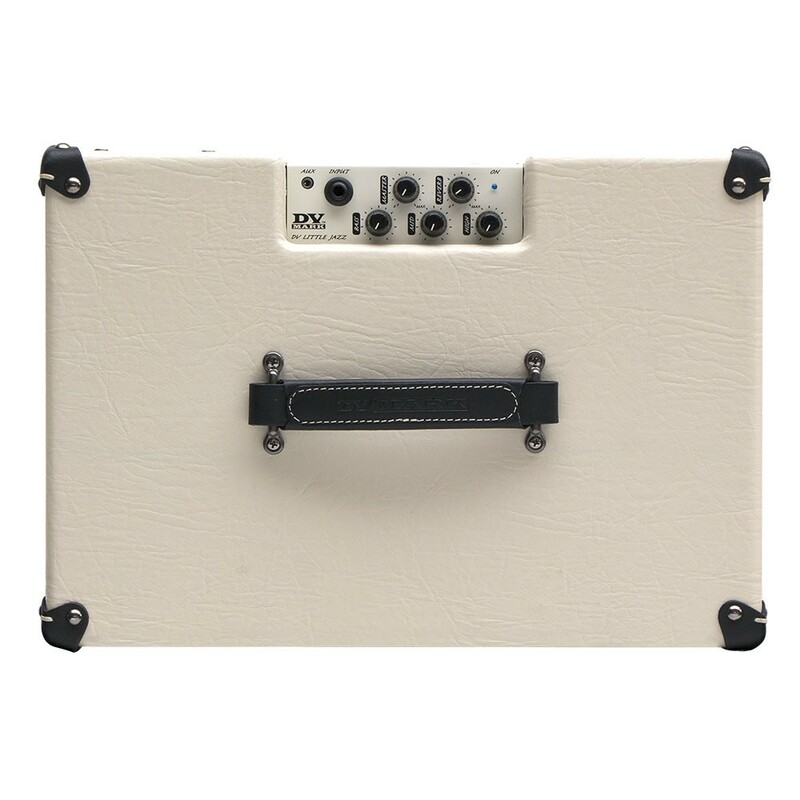 The back panel offers a speaker output, a balanced DI output (XLR), as well as a headphones output and an on/off-switch for the internal speaker. In addition to the Master volume, the control panel sports a three-band EQ section, a level control for the built-in digital reverb, as well as an auxiliary input for your phone, tablet or mp3-player. The sound of both DV Mark Jazz-combos is really clean, warm and beautiful, but never lifeless or one-dimensional. The inherent character of your chosen guitar is kept intact, and the same holds true for all the intricacies of your playing technique. You can then fine-tune the tone to your liking by using the musical EQ section. A fantastically realistic spring reverb simulation works as the basis for the reverb sound in these DV Mark combos. To add even more character and depth to the overall tone, DV Mark’s designers have chosen to add some pitch modulation to the reverb. Adding reverb in moderate amounts, the modulation adds a chorus-like breadth to proceedings. At full-on Surf-style settings, though, the pitch modulation could prove to be a tad distracting to some guitarists. My only real criticism regarding the Little Jazz and Jazz 12 combos has to do with their continuous fan-cooling. On stage the – relatively quiet – whoosh of the PC-type fan won’t be a problem, but in intimate recording studio settings some fan noise may end up on ”tape”. 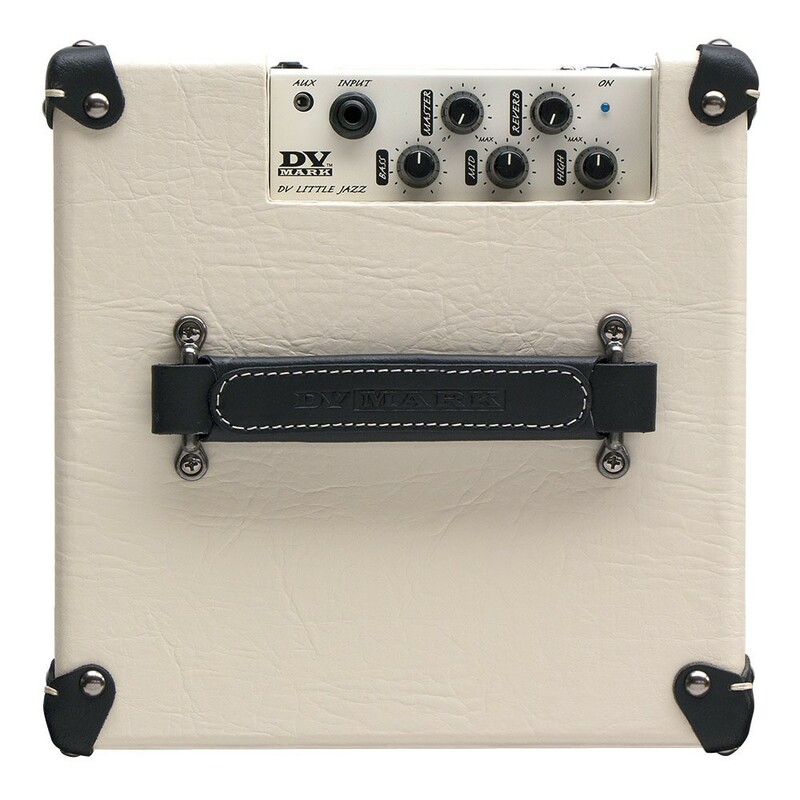 I would really like to stress that, despite looking like a small practice amp, the DV Mark Little Jazz really is meant for active onstage use – it’s not a toy! The combo’s 45 W will be enough in many situations, and if you need more power, you can simply stick a mic in front of it or use the excellent built-in DI-output. For such a small amp the Little Jazz sounds surprisingly big and warm, even though there’s a small trace of boxiness to the tone, when compared directly with the Jazz 12. DV’s Little Jazz sounds like the grown up guitar combo it really is. 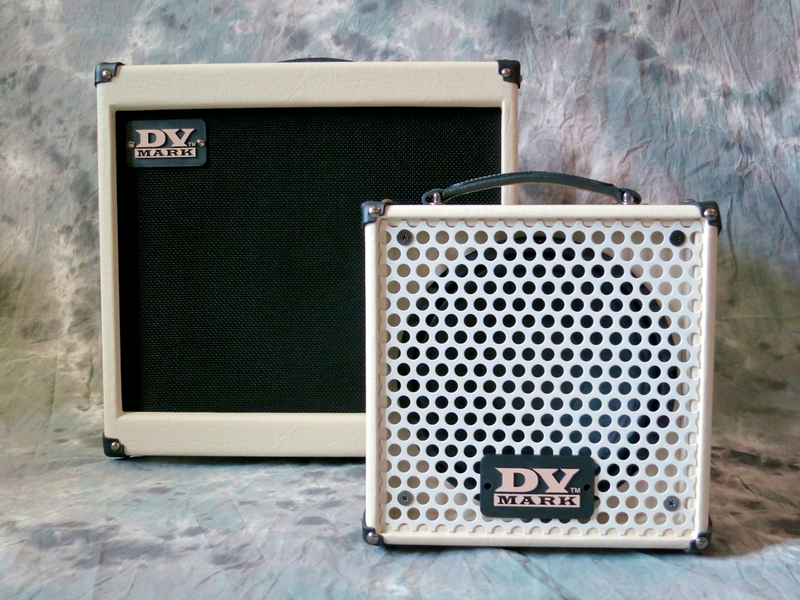 The DV Jazz 12 could be called the Little Jazz’ deluxe edition, thanks to its bigger and slightly more open sound. The larger speaker combined with a larger cabinet gives the brilliant clean tone more space to breathe. The end result is one of the best clean sounds I’ve ever heard. 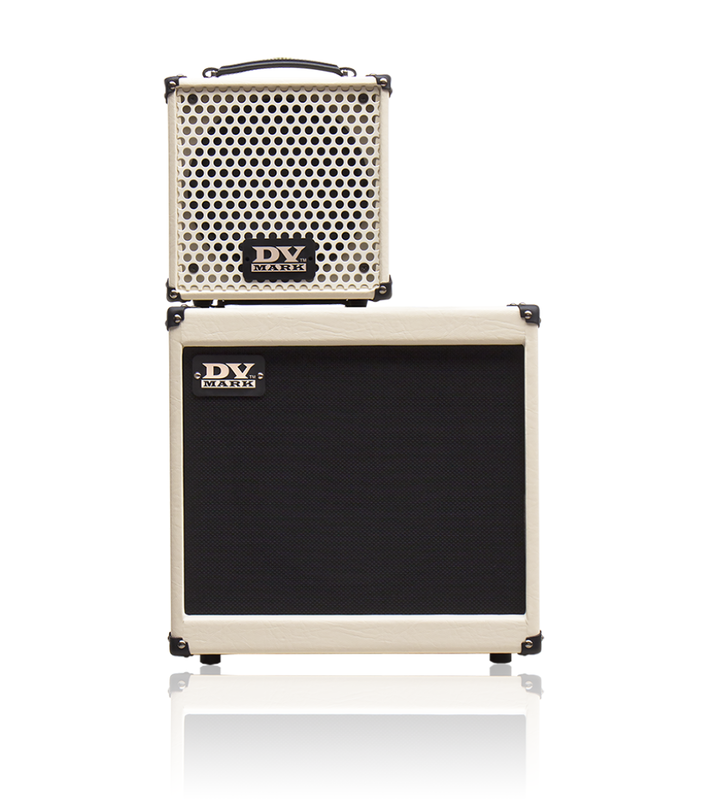 The DV Mark Little Jazz and Jazz 12 are two great combos for the gigging guitarist. And I don’t just mean Jazzers. 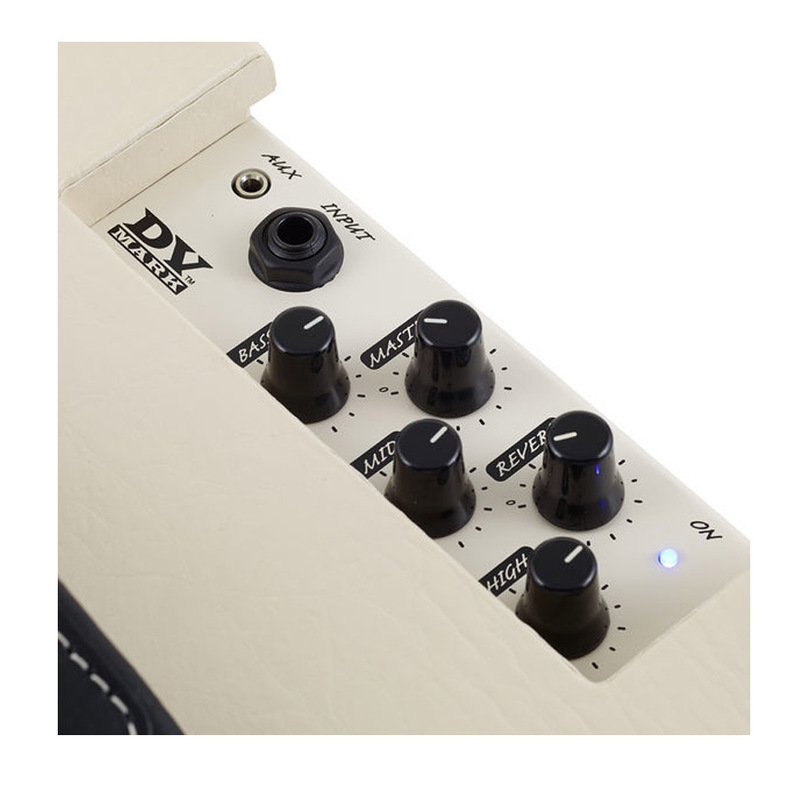 These DV Mark combos are also fantastic choices for players who like to get their sounds from pedals or multi-effect boards. By combining a pair of Little Jazzes or Jazz 12s you’ll end up with a great-sounding stereo rig, which will still be easy to transport. Reblogged this on Gear Review Finland. Fully agree with the review. Done a couple of club gigs with Little Jazz. Very back-friendly, and enough power. Place on floor near wall and tilt slightly for fuller bass. Add an extension speaker for larger venues. This would deal with the fan noise issue in recording as well. Can’t wait for the DV Mark Micro 50 head.